(3) 12x12 print quality backgrounds saved at 300 DPI in JPEG format. (6) Coorditing embellishments and Word Art Pieces. A warm digital scrapbooking collection to scrapbook your end of summer and fall memories. Embellishments and papers are general enough to use year round. 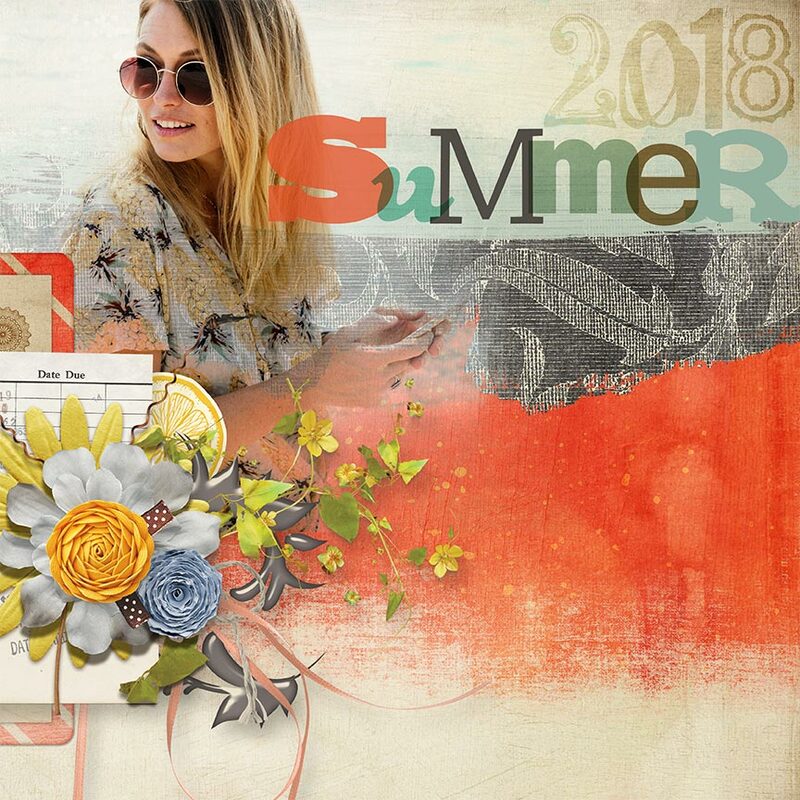 A bright and sunny palette featured in this digital scrapbooking kit great for scrapbooking summer to everyday moments. Make your sunny memories stand out with this kit with hints of citrus design and bright fresh colors. 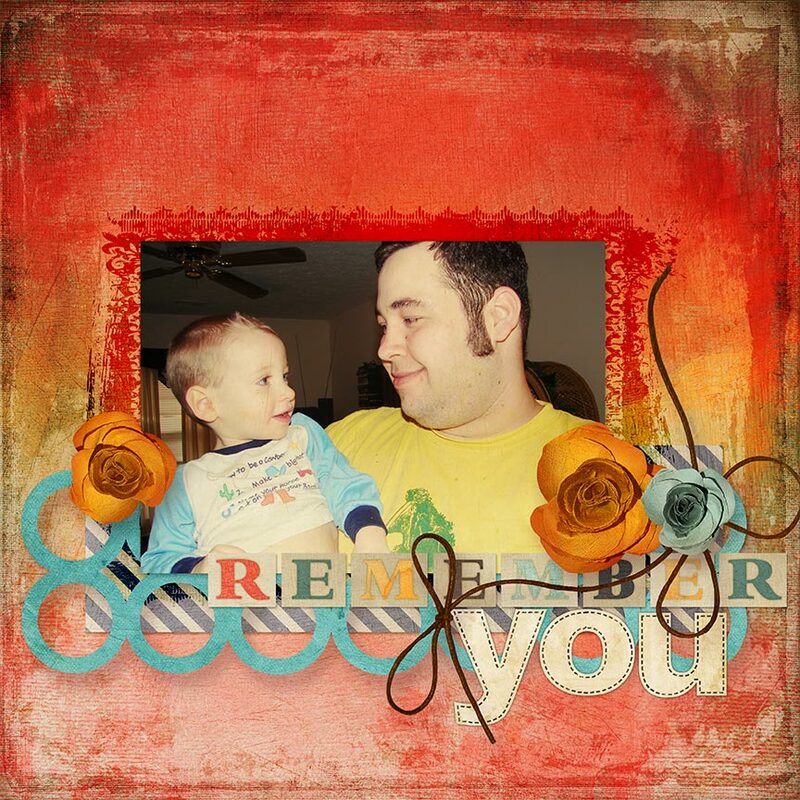 Warm digital scrapbooking collage style papers to decorate your end of summer and going into fall memories. Break away from boring backgrounds with these unique painted cardboard digital scrapbooking papers. Includes great colors in neutrals, pastels, and brights. A softer take on traditional rich Thanksgiving and Fall hues - this digi kit is a refreshing twist to decorate your harvest and family gathering memories. Create beautiful digital scrapbooking projects with this pretty kit in muted blues, tan, and grey. Pretty blue roses, chipboard word art, swirls, and more. Coordinates with the other 'In This Moment' items. These overlays are super fun and easy to use. You can add interest to a background for a traditional layout or use them as a foundation for an Art Journal page. Great colors and texture. Love them!